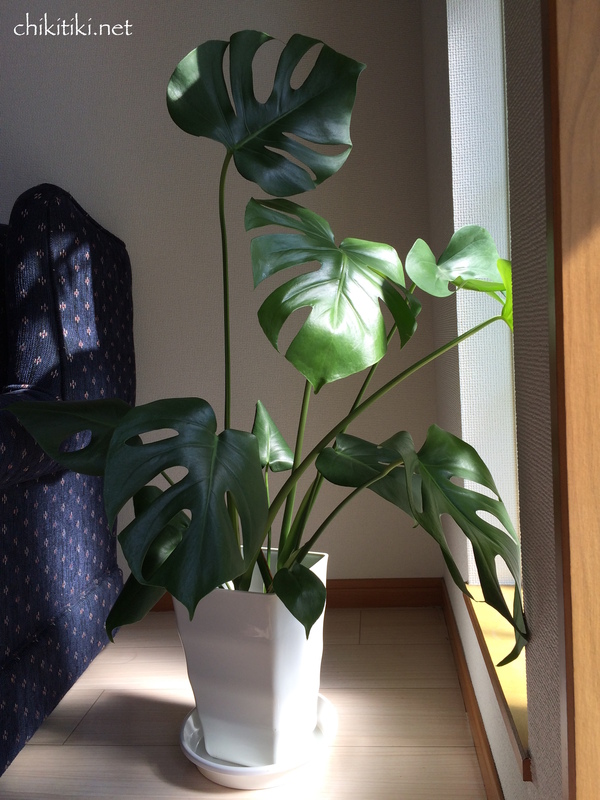 Gk had always wanted to buy a houseplant, so he bought a Split-leaf philodendron. This is our first houseplant. I thought it’s too difficult to grow/maintain it and was not confident in the beginning. But now I enjoy tending it. When it rained for more than a week, a layer of white mold had formed on the soil. I’ve seen it in the garden plants before. I usually scrape and remove the layer. But for the houseplant, the formation of mold meant there is a problem. Most probably over-watering in my case. I usually water it once a week but depending on the weather I may have to change it.